STAMFORD, Conn., Jun 25, 2012 -- WWE (NYSE: WWE) and ION Television today announced a new weekly one-hour original series airing on Wednesday nights at 8/7C. WWE Main Event will debut on October 3, 2012, and feature WWE Superstars and Divas from the rosters of Monday Night Raw and Friday Night SmackDown. The new show will be available in 100 million U.S. television households on ION Television, a top-rated general entertainment network that features a broad mix of critically acclaimed series, movies and original programming. WWE Main Event will feature in-ring action and fit seamlessly in storylines from Monday Night Raw and Friday Night SmackDown, making Wednesday night appointment viewing for fans. The new series will offer a big arena experience with live audiences like current WWE weekly programs. WWE, a publicly traded company (NYSE: WWE), is an integrated media organization and recognized leader in global entertainment. The company consists of a portfolio of businesses that create and deliver original content 52 weeks a year to a global audience. WWE is committed to family friendly entertainment on its television programming, pay-per-view, digital media and publishing platforms. WWE programming is broadcast in more than 145 countries and 30 languages and reaches more than 600 million homes worldwide. The company is headquartered in Stamford, Conn., with offices in New York, Los Angeles, Miami, London, Mumbai, Shanghai, Singapore, Istanbul and Tokyo. ION Television is a leading U.S. general entertainment network, combining high-quality programming and dependable broadcast distribution with an attitude of innovation and growth normally associated with a cable channel. Its "Positively Entertaining" network brand positioning features a formula of proven series, an expansive catalog of blockbuster movies and a commitment to introduce new original programming. Since its recent launch in 2008, ION’s reach has grown to 100 million households and has become one of the top-15 TV rated U.S. networks in record time. For more information, visit www.iontelevision.com. Forward-Looking Statements: This press release contains forward-looking statements pursuant to the safe harbor provisions of the Securities Litigation Reform Act of 1995, which are subject to various risks and uncertainties. These risks and uncertainties include, without limitation, risks relating to maintaining and renewing key agreements, including television and pay-per-view programming distribution agreements; the need for continually developing creative and entertaining programming; the continued importance of key performers and the services of Vincent McMahon; the conditions of the markets in which we compete and acceptance of the Company's brands, media and merchandise within those markets; our exposure to bad debt risk; uncertainties relating to regulatory and litigation matters; risks resulting from the highly competitive nature of our markets; uncertainties associated with international markets; the importance of protecting our intellectual property and complying with the intellectual property rights of others; risks associated with producing and travelling to and from our large live events, both domestically and internationally; the risk of accidents or injuries during our physically demanding events; risks relating to our film business; risks relating to increasing content production for distribution on various platforms, including the potential creation of a WWE Network; risks relating to our computer systems and online operations; risks relating to the large number of shares of common stock controlled by members of the McMahon family and the possibility of the sale of their stock by the McMahons or the perception of the possibility of such sales; the relatively small public float of our stock; and other risks and factors set forth from time to time in Company filings with the Securities and Exchange Commission. Actual results could differ materially from those currently expected or anticipated. In addition, our dividend is dependent on a number of factors, including, among other things, our liquidity and historical and projected cash flow, strategic plan (including alternative uses of capital), our financial results and condition, contractual and legal restrictions on the payment of dividends, general economic and competitive conditions and such other factors as our Board of Directors may consider relevant. On Saturday, September 15, Foxwoods MGM Grand will be hosting the first ever World Cup of Mixed Martial Arts™ as WCMMA™ Team Portugal challenges WCMMA™ Team USA. Ledyard, CT, June 21, 2012 -- The World Cup of Mixed Martial Arts™ (WCMMA™), is pleased to announce that Foxwoods Resort and Casinos' MGM Grand will be hosting the first ever World Cup competition in Mixed Martial Arts. On Saturday, September 15, Foxwoods MGM Grand will be hosting the first ever World Cup of Mixed Martial Arts™ as WCMMA™ Team Portugal challenges WCMMA™ Team USA. These two teams will be facing each other in an International Battle Challenge where nations from around the world face one another in efforts to acquire enough points that will earn them an invitation to the WCMMA™ World Cup Championships in 2017 in ROME, Italy. Foxwoods is the first step in the "WCMMA's Road to Rome 2017™". "I've seen many mixed martial art events, but when it comes to Nation vs Nation competition, that truly transcends anything we have seen, especially when it's for Mixed Martial Arts' very own World Cup. The stakes don't get any higher," said Dan Severn former MMA Super Fight World Champion, and Professional Wrestling Champion. "The WCMMA™ is the next level in Mixed Martial Arts. Now we're going to begin to see which countries are producing the best MMA Athletes overall," said Don Wilson former seven time Kickboxing World Champion and Action Film Star. Also that same evening the WCMMA's™ Heavyweight World Title will be on the line as Russian National Sambo Champion Alexey Oleinik will be facing two time FILA Grappling World Champion, Kelly Anundson of the United States. The undercard of these two featured events will showcase up and coming MMA Athletes who are vying for an opportunity to challenge for a spot on WCMMA™ Team USA. The event is being held at Foxwoods MGM Grand, the undercard will begin at 7:00 P.M. (EST), with Portugal vs USA starting promptly at 8:30 P.M. (EST) and the Super Heavy Weight World Title is scheduled for 10:00 P.M. For Tickets visit: FOXWOODS.com, or Call 800-200-2882. For more information visit: WorldCupofMixedMartialArts.com. The WCMMA™ is an international team orientated mixed martial arts organization that produces nation vs nation mixed martial art competition, along with individual title matches. The WCMMA™ every four years holds MMA's very own World Cup Championships, the highest honor in team sports. An invitation to this prestigious event is based on national teams who are successful in qualifying for the honor. National teams qualify by accumulating enough points in international World Cup competition over a four year cycle as they face other national teams. In addition to producing events the WCMMA™ sets itself apart from many other organization. The WCMMA™ also sanctions events and helps assist qualified independent promoters in their efforts of growing the sport. The WCMMA™ also offers exclusive WCMMA™ franchises to respective nations competing within the circuit, and assist them on building their respective franchise through licensing, television, merchandising, and talent acquisition. The WCMMA™ is headquartered in Rome, Italy, and with offices in Boca Raton, Florida, and Bronx, New York. KANSAS CITY, Kan. (June 7, 2012) – Invicta Fighting Championships and Japan-based JEWELS announced today that the two women’s Mixed Martial Arts (MMA) promotions have formed a strategic partnership to cross-promote the world’s top female fighters on their respective fight cards in The United States and Japan. 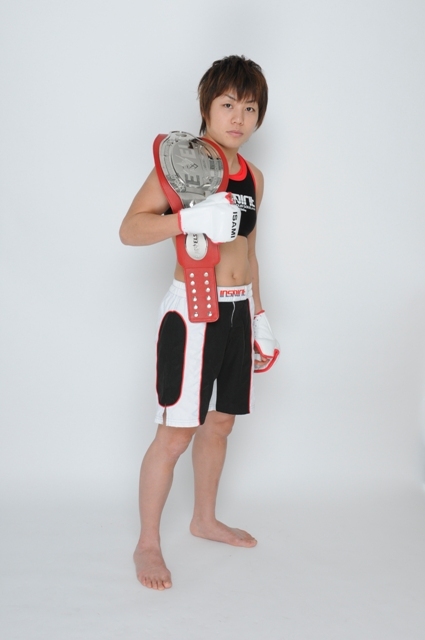 As part of the new alliance, JEWELS champion Akaya Hamasaki (7-0) of Yamaguchi, Japan will head to Kansas City, Kan. to square off with fellow undefeated star Jasminka “Impressive” Cive (5-0) of Graz, Styria Austria in a flyweight (115 pounds) matchup at Invicta FC 2: McMann vs. Baszler at Memorial Hall on Sat., July 28. Hamasaki is one of two fighters from the JEWELS roster who will do battle on the Invicta card. The other, Hitomi “Girlfight Monster” Akano (18-9) of Tokyo, will square off with Japanese Jiu-Jitsu black belt and Cesar Gracie-protégé Alexis Davis (11-5) of Colborne, Ontario Canada at bantamweight (135 pounds) in the co-main event. “We are excited to enter this partnership with JEWELS, which was essentially founded with the same goal of placing professional women’s MMA competition, at its highest level, on a major stage,” said Invicta President Shannon Knapp. “This relationship with an overseas promotion will effectively make it more turnkey for us to bring in some of the best women fighters in the world to compete in the Invicta cage and to send our top athletes to Japan to compete at JEWELS events. "We are very honored and extremely excited about this partnership with Invicta Fighting Championships,” said JEWELS President Yuichi Ozono. “We appreciate the opportunity that Invicta Fighting Championships is extending to our fighters, including the current JEWELS champion Ayaka Hamasaki and Pro Elite and Strikeforce veteran Hitomi Akano. We are excited to be able to collaborate and cooperate with Invicta Fighting Championships to achieve our common goal, which is to promote the appeal of women's Mixed Martial Arts." The 30-year-old Hamasaki, a second-degree Judo black belt, has been tearing through the ranks of competitors in Japan since she made her professional debut on Oct. 25, 2009, submitting Kinuka Sasaki with an armbar in the second round of their matchup. On Dec. 17, 2010, Hamasaki emerged the winner of a four-woman, single-elimination tournament, earning a unanimous decisions over Sakura Nomura and Seo Hee Ham, respectively. Hamasaki is coming off a first-round submission (kimura) win over Yuka Tsuji at a JEWELS event. Also 30 years of age, Cive has yet to be taken the distance of a professional fight, winning four of her five career starts by way of KO or TKO and one of her bouts by submission. She has made a name for herself outside of MMA, winning championships in Muay Thai and K-1 rules kickboxing competition. In her last effort on March 17, Cive scored a third round TKO with a barrage of punches on Eva Henesova in Vaduz, Liechtenstein. Tickets for Invicta FC 2: McMann vs. Baszler, priced from $25, are available for purchase at Memorial Hall box office (913) 549-4853), online at Ticketmaster.com and InvictaFC.com and by phone at (800) 745-3000. In the bantamweight main event, 2004 Olympic Wrestling Silver Medalist and undefeated MMA star Sara McMann (5-0) of Gaffney, SC. and battle-tested submission wizard Shayna “The Queen of Spades” Baszler (14-6) of Sioux Falls, SD. In other main card action, U.S. Marine and rising bantamweight star Liz “Girl-rilla” Carmouche (6-2) of San Diego, Calif. will square off with St. Louis Park, Minnesota’s Kaitlin Young (7-5-1), who earned “Fight of the Night” honors at the inaugural Invicta event on April 28. Hard-hitting KO artist Amanda Nunes (6-2) of Salvador, Bahia Brazil will make her Invicta debut against sensational finisher Milana Dudieva (8-1) of Vladikavkaz, North Ossetia Russia in a bantamweight battle. Kelly Kobold (18-3-1) of St. Paul, Minn. will face off with streaking submission expert Vanessa Porto (14-4) of Sao Paulo, Brazil at bantamweight. American prospects Barb “Little Warrior” Honchak (5-2) of East Moline, Ill. and undefeated Bethany Marshall (4-0) of Newport News, Va. will meet in a super flyweight (125 pounds) matchup. Julia “The Jewel” Budd (2-2) of Port Moody, British Columbia Canada will face Elina Nilsson (2-2) of Gothenburg, Sweden at featherweight (145 pounds). In the opening main card bout, Jiu-Jitsu champion and former high school wrestling star Carla Esparza (6-2) of Redondo Beach, Calif. will square off with Sarah “White Tiger” Schneider (6-5) of Kansas City, Mo. in a flyweight tilt. The Invicta event will kick off with a five-bout preliminary card. In a bantamweight matchup between two undefeated future stars, Sarah Moras (2-0) of Kelowna, British Columbia Canada will face Raquel Pennington (1-0) of Colorado Springs, Colo.
After compiling a 5-2 record under amateur status, 25-year-old Jessamyn “The Gun” Duke (0-0) will make her much-anticipated professional debut against unbeaten 30-year-old Suzie Montero (1-0) of Pompano Beach, Fla. at bantamweight. One-half of the 26-year-old twin MMA fighter duo, Jocelyn “Lights Out” Lybarger (0-0) of Phoenix, Ariz. will make debut under professional status opposite Cheryl Chan (0-0) of Surrey, British Columbia Canada at super flyweight. Jessica Philippus (0-0) of Marshall, Mo. will battle Liz McCarthy (0-0) of Tigard, Ore. at atomweight. In an atomweight (105 pounds) matchup, Angelica Chavez (4-1) of Albuquerque, N.M. will face an opponent to be determined after Kikuyo Ishikawa (7-3) of Gushikawa, Okinawa Japan, withdrew from the bout. Founded in 2008 as the successor of Smack Girl. (An event promotion company called Marvelous Japan, Inc purchased all of the rights of Smack Girl, formed partnership with DEEP, then re-started as JEWELS) The headquarters is located in Tokyo, Japan. JEWELS is the only all women's MMA promotion in Japan now and since its foundation on 2008 JEWELS has successfully promoted 19 professional MMA shows, and also, several grappling and amateur events as well. SOURCE: Witz End Communications, Inc.
AGOURA HILLS, Calif. & LAS VEGAS, Jun. 4, 2012 -- THQ Inc. (NASDAQ: THQI) and Zuffa, LLC, today announced that they have reached an agreement resulting in Zuffa licensing to Electronic Arts Inc. (NASDAQ: EA) the right to publish videogames based on the Ultimate Fighting Championship® (UFC®) brand, effective today. The agreement results in an undisclosed cash payment to THQ. Additionally, THQ will continue to publish its existing console and mobile titles through March 31, 2013.